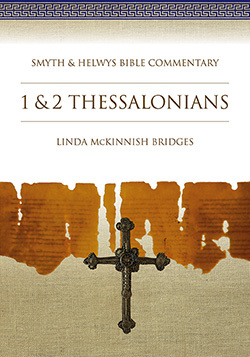 First and Second Thessalonians explore the first-century Mediterranean world in which the Apostle Paul writes to the community of faith in Thessaloniki. It is a complex dialogue among the Thessalonian believers, the young missionary Paul, and the readers who would follow through the centuries. Known as the Thessalonian Correspondence, these writings give us a wide window into this ancient environment where Paul lived, worked, and taught. What community fears, joys, or trauma gave rise to his words? What were the social and cultural experiences of this community of new believers? How did they understand the life of faith? How did they manage issues of life and work, faith and profession? These letters also help us, the twenty-first-century readers, understand Paul’s perspectives on leadership, ethics, community life, and death. These letters encourage and challenge us, as they encouraged and challenged the community in Thessaloniki, to live faithfully and lovingly with one another as we go about our work and worship. Linda McKinnish Bridges (Ph. D., The Southern Baptist Theological Seminary) is associate director for admissions and an adjunct professor of religion at Wake Forest University. She teaches in the Department of Religion of the College, The School of Divinity, and in the Graduate School of Arts and Sciences. As a college administrator, she also has served Wake Forest University as consultant to the provost, associate dean of the College, chair of the Department of Sociology, and director of the Women and Gender Studies Program. Linda McKinnish Bridges was a founding faculty member of the Baptist Theological Seminary at Richmond from 1991-2001 and a member of the faculty of Union Theological Seminary in Virginia/Presbyterian School of Christian Education from 1988-1991.